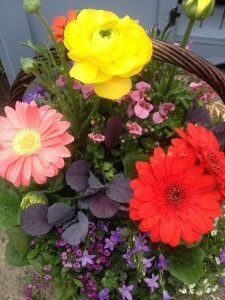 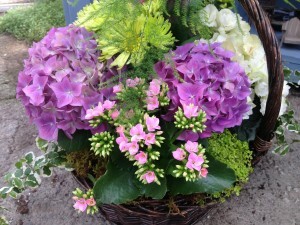 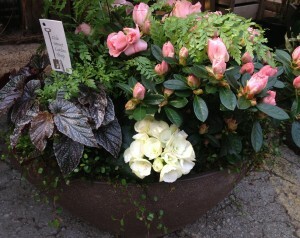 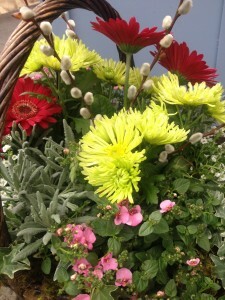 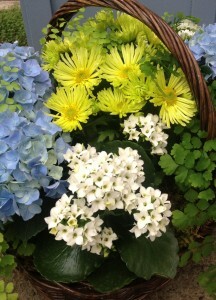 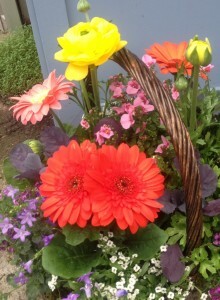 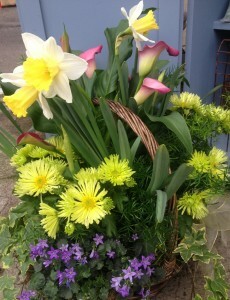 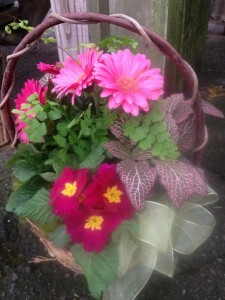 Make Someone Happy With A Blooming Basket! 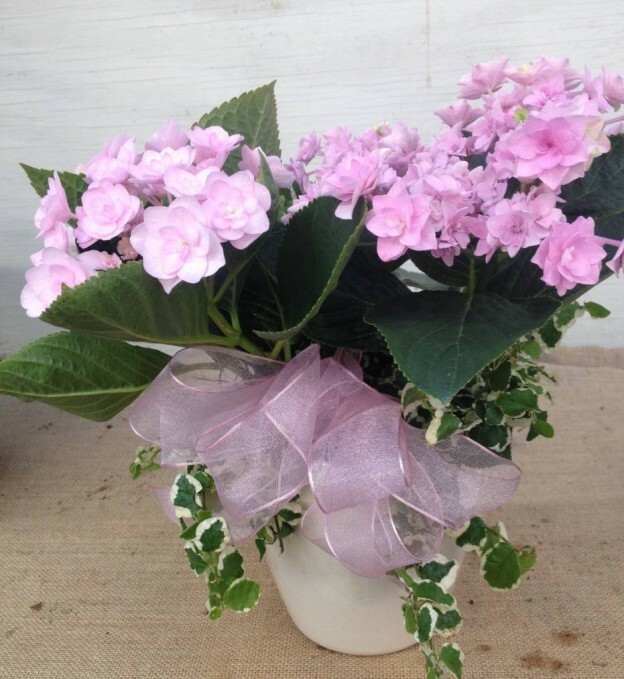 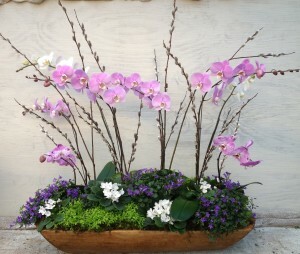 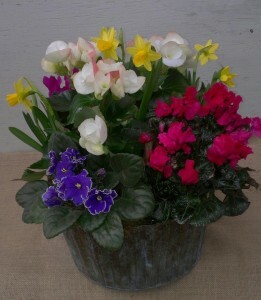 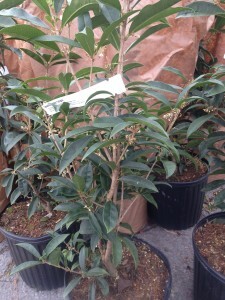 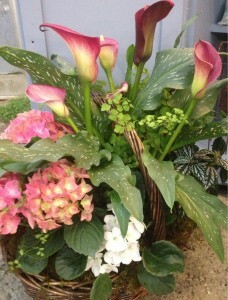 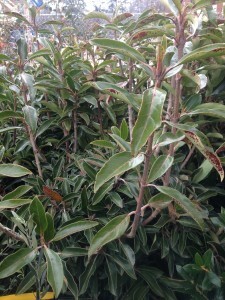 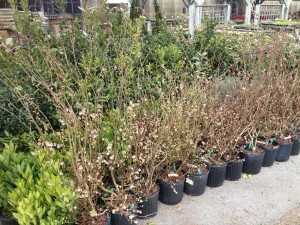 Here’s another example of some of the seasonal flowers available now – this container shows forced bulbs of tulips, hyacinths, and narcissus, as well as a pure white hydrangea and willow branches to add even more drama…these forced bulbs are, like the primroses, usually available in the early portion of the year. 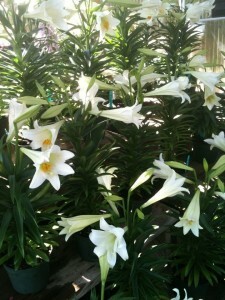 You can plant the narcissus in your garden once they’re done blooming – we’ll talk about that in a later post. 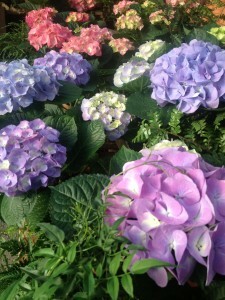 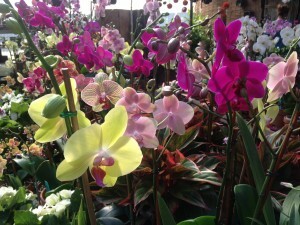 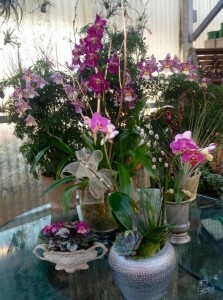 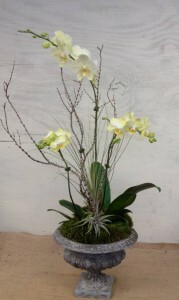 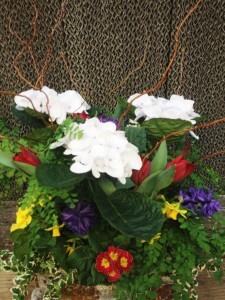 This entry was posted in Arrangements, Baskets, Container, Flowers, Gifts, Spring, Uncategorized and tagged arrangements, bulbs, color, containers, flowers, gifts, glass container, hydrangeas, narcissus, primroses on February 6, 2013 by Kris Blevons.